KPA announced today the expansion of their HR Management program to include a service for Affirmative Action Planning. The new service allows for complete outsourcing of a dealerships affirmative action program including written program development, monitoring and OFCCP reporting. Under Executive Order 11246, federal contractors and subcontractors with 50 or more employees who have entered into at least one contract of $ 50,000 or more with the federal government must prepare and maintain a written affirmative action program. The written program must be developed within 120 days from the commencement of the contract and must be updated annually. Many states also have affirmative action program requirements for state government contractors. Dealerships that have fleet management or service contracts with the government may be required to have a written affirmative action program including a documented plan, explained Kathryn Carlson, Director of HR Products for KPA. KPAs new Affirmative Action Planning service allows dealerships to choose between using the automated reports in the HR management program to assist with monitoring and reporting or to completely outsource the development, monitoring, and reporting function to KPA. This entry was posted in Which Open Source Blog and tagged Action, Affirmative, Dealerships, Offers, Planning on March 1, 2013 by Administrator. “We are pleased to have collaborated closely with our new Redpunch Software development company and our BPC customers to deliver the next generation Starter Kit” said Michael Svolos, Director of EPM TekLink International. “TekLink has been able to tap into our EPM thought leadership to deliver an impressive package of streamlined tools, ribbons, templates and easy to use graphical data load interfaces. With the new SKCEP version, weve been able to leverage the improved user front-end, instant distribution keys, and plan assumption models and drivers. The free-of-charge NetWeaver version of SKCEP v2.0 includes: pre-defined cost center accounting data models and mappings, ECC and BW integration including extraction, retraction, a proprietary easy-to-use graphical interface for managing ECC-BW-BPC data integration, offline planning capabilities, and an excel ribbon with built-in functions to distribute, lock, spread, weight and trend values. Our EPM 10 starter kit enables first time SAP BPC customers to go live with their cost center planning still this year. Many SAP customers waited for EPM 10 to be generally available in April and now are scrambling to go live for their 2013 planning cycles that have to start in the summer. Usability and timing are everything in gaining user acceptance. Leveraging the SKCEP starter kit saves months for some projects, explains Edmund Manrique, TekLink International Vice President of EPM Solutions.Weve seen an ever increasing demand for these time/cost saving approaches to real world problems. TekLink International, Inc. headquartered in Naperville, Illinois, is a leading implementer and thought leader offering services in support of SAP BI and EPM solutions to many Fortune 500 companies. Founded in 2003, TekLink specializes in services in support of business intelligence, planning, analytics and data warehousing. TekLink has international offices in Hyderabad, India and an Asia Pacific branch located in Melbourne, Australia. TekLink was awarded in 2009 the Seven Small Consulting Jewels Award by Consulting Magazine and was listed in the category of Top 10 IT Services Companies by Silicon India Magazine for both 2009 and 2010.
Business Objects, BusinessObjects and the Business Objects logo are trademarks or registered trademarks of Business Objects in the United States and/or other countries. Business Objects is an SAP company. This entry was posted in Which Open Source Blog and tagged , Announces, BusinessObjects, Cost, Expense, FreeofCharge, Generation, International, Planning, Starter, TekLink, Version on March 1, 2013 by Administrator. Novarad, http://ww1.novarad.net/, has completed a strategic distribution agreement with OrthoView, http://www.orthoview.com/, solidifying OrthoView as the newest provider of orthopaedic digital planning solutions available in Novarads portfolio of partner solutions. The reseller agreement with OrthoView provides an additional pre-operative planning tool option to Novarad customers. The digital planning solutions seamlessly integrate with NovaOrtho, http://ww1.novarad.net/novaortho/, Novarads web-based viewer and information system. Orthopaedic surgeons using NovaOrtho and OrthoView can save the completed pre-operative plan, including images and a detailed report, to NovaPACS. To continue delivering on our guarantee of RIS and PACS for life, we know it is important to connect ourselves with the industrys best software and service providers and offer an end-to-end diagnostic suite, said Steve Fowler, product marketing director at Novarad. OrthoView is an ideal partner. Its an international company that has solid relationships with an extensive network of orthopaedic manufacturers including all the major brands. OrthoViews digital template library contains more than 140,000 digital prosthesis templates from more than 50 manufacturers. OrthoView is used in more than 52 countries, and by more than 4,500 orthopedic surgeons in North America alone, for planning the full range of orthopaedic surgeries, including total hip replacements and revisions, total knee replacements (including uni-compartmental and revisions), shoulder replacements (including reverse shoulders), ankles, elbows, fingers and all other joint replacements; trauma fracture management; limb deformity correction & Osteotomy, as well as spinal assessment and pediatric assessment. With the addition of OrthoView, we can provide our customers around the world with an increased product selection coupled with the convenience of seamless integration with NovaOrtho and the confidence of being backed by our hallmark service, said Fowler. William Peterson, OrthoViews COO for North America, said Our distribution agreement with Novarad will make OrthoViews digital planning solution for orthopaedics available to Novarad customers in North American and globally. Radiology will be able to reduce or even eliminate printed film for orthopaedics and the orthopaedic surgeons will be able to plan and template with digital images quickly and easily. We look forward to a long and fruitful partnership. Novarad is exhibiting its Orthopedic PACS solutions May 20-22 at the AAOE Conference in New Orleans, Booth #1617. OrthoView will also be available to view on Booth #1117. OrthoView is a widely-used, digital orthopaedic planning solution used in hospitals and clinics in 52 countries. It offers a comprehensive library of digital templates, including over 1,400 template sets and over 140,000 individual prosthesis images from over 50 orthopaedic implant manufacturers. Quick and simple to use, OrthoView delivers scaled measurements and prosthesis sizing recommendations for the orthopaedic team, resulting in a detailed pre-operative plan that can be saved to the PACS. For more information, visit http://www.orthoview.com or call 1-800-318-0923. With more than 800 installations worldwide, Novarad is the healthcare community’s trusted provider of radiology technologies. Novarad offers a complete diagnostic suite of technologies including PACS, CardioPACS, RIS, dose monitoring, mammography viewers, performance dashboards, mobile viewers, and archives to increase radiology efficiency and deliver unmatched value. Novarad products are consistently top rated, are easy to use, and come with lifetime upgrades and the best support in the business. Images and reports are available anytime, anywhere via the full diagnostic viewer, iPad or any mobile device. This entry was posted in Which Open Source Blog and tagged Broadens, Novarad, Orthopaedic, OrthoView, Planning, Portfolio, PreOperative on February 26, 2013 by Administrator. This time of year brings many festive things: holiday music on the radio, holiday movies in the theaters and on TV, and holiday parties at the office. Corporate holiday parties are fun to attend, but can be hectic to plan. Thankfully, Premium Entertainment, New Jersey’s premiere corporate entertainment company, has some fun suggestions to improve any lackluster corporate party. Our event specialists have hundreds of corporate parties under their belts, and just as many ideas for fun, memorable and unique corporate holiday parties. NJ’s Premium Entertainment specializes in DJ’s, MC’s, Photo Booths and UpLighting, any of which can make a holiday party go from bland to grand! Premium Entertainment’s corporate holiday party specialists have hundreds more unique ideas like these. We have experience providing a variety of entertainment to Tri-State companies such as Kohls, Smirnoff, Coca-Cola, Home Depot, Jack Daniels and Sony. Premium Entertainment’s most popular packages include our NJ Photo Booths. Each luxurious NJ Photo Booth is endlessly customizable, from the photo strips to the booth itself. Thus, an NJ Photo Booth can blend seamlessly into any holiday theme. 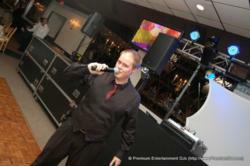 Premium Entertainment LLC is the foremost special events production company in the NJ, NY, & CT Tri-State area. It is a boutique-inspired agency that provides the most talented professional DJ’s, world class lighting designers, and luxury photo booths for an array of private events. Premium Entertainment, LLC has continually led the industry in innovation and flawless event production since 2001. For more information on Premium Entertainment, visit http://www.PremiumDJ.com. This entry was posted in Which Open Source Blog and tagged Corporate, Entertainment, Holiday, Offers, Planning, Premium, some, Tips on February 15, 2013 by Administrator. Watson and Marx put their advice where it could help others by writing PassPorter Walt Disney World®  The unique travel guide, planner, organizer, journal, and keepsake! (©1999, $ 19.95 pb, Spread the Word Press). Not content to write just another travel guide, the authors continue where every other guide leaves off. In one neat, spiral-bound package theyve combined a 216-page travel guide with 11 custom organizer PassPockets, creating a proven planning system for the perfect vacation. What do you do with a PassPocket? Write your vacation itinerary on the front of each pocket before you go, store maps, tickets, and receipts inside the pocket while youre there, and record your memories and expenses on the back to review when you return home! If you’ve ever jammed loose papers, maps, tickets, and brochures between the pages of a groaning travel guide, you’ll want to give PassPorter a look-see! Printed front-and-back with fill-in-the-blank sections for itineraries, To-Do lists, notes, expenses, meals, photos taken, and cherished memories, PassPockets make organized travel a snap! One pocket is dedicated to travel plans, another pocket is for lodging, seven one-a-day pockets are dedicated to vacation fun, and a final pocket saves special memories. Which is not to say that the theme parks get short shrift. Each of the four major parksMagic Kingdom, Epcot, Disney-MGM Studios, and Disneys Animal Kingdomget a six-page layout, complete with maps and a concise description of every ride and attraction. Disneys three water parks, the Downtown Disney/Pleasure Island complex and Disneys Wide World of Sports receive the full PassPorter treatment, too. Authors Watson and Marx are dyed-in-the-wool Disney fanatics. Their love for and knowledge of The World (as insiders call Walt Disney World) translates into a compact-but-comprehensive guide that starts with the basics and ends with those special hints that put the m in Disney magic. Theyve even made room for a mini autograph book, just in case you run into Minnie during your Disney travels. So when the magic of Walt Disney World beckons, pick up a copy of PassPorter Walt Disney World® before you go. Not only will you discover Walt Disney World through the eyes of two seasoned fans, but youll also be more organized and better budgeted than you ever thought possible. Visit http://www.passporter.com/wdw/reviews.htm for many more reviews of PassPorter Walt Disney World! The unique travel guide, planner, organizer, journal, and keepsake! Toll-free orders 1-877-WAYFARER (1-877-929-3273). Also available at bookstores, on the Internet at amazon.com, barnesandnoble.com, borders.com, and passporter.com. This entry was posted in Which Open Source Blog and tagged Decreases, Disney, Increases, Planning, Pleasure, Pressure, Walt, World on February 13, 2013 by Administrator. Today, popular online project management software BizPAD released a free template for easier and more organized event planning made available to users at no additional cost. The event planning template is part of a series the company launched earlier this month, increasing the value of the online service and complementing the organizational goals of the cloud-based system. The free templates are part of a marketing campaign designed to redefine how businesses and individuals plan events of all sizes. The project management software is promoting specifically the organizational tools and communication system within the software that allows team members to communicate about an event, organize materials and collaborate on ideas, all from a web-based system that automatically records and archives everything. We listened to what our clients needed and were delivering, says Emily Rehm, President of BizPAD. Adding, BizPAD is making it easier than ever to execute online projects with our pre-made checklists, folders and more. Organizing an event is as easy as copying our template and checking off a list. Event planning has many different components; with that in mind BizPADs online project management software is consolidating the event planning process into manageable tasks that can be assigned to team members in the office, or around the world. The web-based system facilitates event planning through a single platform, eliminating email and other file sharing systems, promoting the development and execution of planning an event- anytime, anywhere. Increased productivity and efficiency are endorsed by the project software, which hopes to appeal to more businesses and individuals by highlighting this feature in videos, and future speaking events. About BizPAD — BizPAD is the ultimate web-based task, project and business management tool ever created to collaborate – keeping you organized like never before. BizPAD maximizes your productivity, systemizes your business, increases your business value, and streamlines communication with your team. BizPAD eradicates the use of mundane systems, processes and tools to bring everything into one screen. Whether your team is in the same office or halfway around the world; everything gets done, is tracked and managed with ease. Find out how this simple solution can become such a huge asset by visiting: http://www.BizPAD.com. This entry was posted in Which Open Source Blog and tagged Event, Free, Made, Management, Online, Planning, Project, Simple, Software, Templets, Users on February 4, 2013 by Administrator. Profit Point announces the introduction of Profit Vehicle Planner 3.1, a major upgrade to our distribution analysis and design software. Profit Vehicle Planner is designed for Strategic Logistic and Transportation Managers that have large fleets with multiple daily delivery stops and changing logistics processes. The software update includes a combination of new features and technical enhancements which combine to support richer scenario modeling for larger large fleets with multiple daily delivery stops and changing logistics processes. Designed to be highly accessible and customizable, Profit Vehicle Planner (PVP) uses standard Microsoft business tools for calculation and display of information, including Excel, Access and MapPoint. The software automatically creates and designs the optimal sales/distribution territories. It does this by dividing customers into territories and days of service, with each territory representing the volume delivered by one delivery vehicle and one driver over the course of the planning horizon. The objective of the proprietary heuristic algorithm used in Profit Vehicle Planner is to assign customers to territories that will minimize the number of trucks required to serve the customer volumes while delivering within the various common and business-specific constraints, including customer frequency of service, hours available per day, volume available per truck, unique equipment requirements and virtually any other custom constraint required. This entry was posted in Which Open Source Blog and tagged Announces, Improvements, Planning, Point, Profit, Software, Transportation on February 2, 2013 by Administrator. The emergence of the quality management system has elevated not only the quality of work output, but also the work conditions of industries. However, with the frequent reference to management plans, a lot of people get confused about the latters difference from management systems and which of the two would be suitable to address the specific needs of their industry. According to Ensafes latest post, In simple terms both the management plans and management systems are management systems. With the explanation provided by Ensafe, a management plan and a management system are basically two levels of documentation. The plan is for small or medium-sized organisations that are mainly subcontracted to Principal or Main Contractors. It is fully compliant to applicable Work Health & Safety (WHS) and environmental legislation and regulations, the core requirements of relevant Australian standards and the policies set by authorities with regards to environmental management and WHS. Its also defined as a part of the system as it deals with the specifics and the document, which effectively describes the actual management system. The management system, on the other hand, is for a more extensive operation and has a higher level of involvement because the organisation has the role of Principal or Main Contractor and like the management plan, its aim is also full compliance. However, the management is also suitable to obtain the following: accreditation from the Office of Federal Safety Commissioner, pre-qualification to state government agencies and third party certification to Australian standards. Provided in the post are more thorough explanations and a clear illustration of the applications about management plans and systems. Ensafe Planning Solutions created this guide as one of the way to uphold the companys mission statement which is, to assist contractors in the building and construction industry in Australia to comply with ISO standards and legislative requirements by providing the simplest and easiest management system documentation in Word format and portable devices. The company is one of the premiere sources of management system templates (like the environmental management system template, which is heavily-laden with the stringent legislation, regulations and standards in ensuring the protection of the environment) and other products pertinent to the easy but effective creation of QMS, EMS, OHSMS and other management systems. This entry was posted in Which Open Source Blog and tagged Between, Difference, Distinguishes, Ensafe, Latest, Management, Planning, Plans, Post, Solutions, Systems on January 29, 2013 by Administrator. According to Dave Lavinsky, every business needs a vision – a clear definition of what it would like to become in the future. And, every business needs a set strategy – a definition and plan of how the business is going to reach this vision. Dave Lavinsky is co-founder and President of Growthink Inc., a leading entrepreneurial consulting firm that has helped over 500,000 entrepreneurs launch and grow successful businesses. All the key elements: what you sell, to whom, for how much, what you promise, etc, they are all part of your company’s strategy or direction towards creating the business you want, says Lavinsky. According to Lavinsky, once an entrepreneur has chosen a direction and vision, the next step is strategic planning – mapping out how the business will achieve this over a long-term time frame. This, like all planning, involves determining what projects you will complete and when, and how you will allocate resources such as man hours, money, and assets. Lavinsky states that a strategic plan should break down into specific, detailed short-term plans that help a business know what to do on a month-to-month and even day-to-day basis. But can you imagine what happens when you have a short-term plan to handle all the business and projects you have going on, but no longer-term, strategic plan to tie it all together? Maybe you’ve experienced it…the answer is chaos, drudgery, and endless wheel-spinning with no little progress, said Lavinsky. With all the time team members spend together in meetings and talking to each other, it’s surprising how often they come away with different mental pictures of what the company is supposed to be and in what direction it’s supposed to be going, says Lavinsky. Everyone sees the company’s future from their own perspective and function. It’s your job to repeatedly communicate your company’s vision and strategy to them-50 or 100 times if you have to-so they’re all on the same page and can give you better advice and support. According to Lavinsky, this occurs when entrepreneurs spend most of their time in meetings is discussing how to run the business and putting out the fires that come up so often, as opposed to also spending time strategizing and planning. It’s easier said than done to carve out time in your schedule for strategic thinking and planning, but that’s the nature of entrepreneurship-taking care of today’s business with an eye on the future. Hard to do, but keep in mind that delegating more of the day-to-day operational tasks to your team can free you up to do the strategic work, which may be something that only you can do, he said. My friend Paul Lemberg refers to the Comfort Zone phenomenon as leading business managers to become “fat, dumb, and happy.” In other words, becoming complacent when things are going fine. This can lead to becoming reactive with your strategy, rather than proactive. Do you want to be reconfiguring your company and innovating under duress at breakneck speed at the last minute, or well ahead of time when the pressure is off? Let’s be honest here…isn’t a five-year pretty much a one-year plan, plus 4 years of guessing? said Lavinsky. You must have a clear vision of what your company will be like in 5 years, but to try and guess the details of what will be going on in 43 months, for example, in a fast-changing world is wishful thinking. We all know how around New Year’s Day, many individuals start thinking about their personal goals for the year ahead. And many businesses work hard on a yearly plan during the same month of every year. But can you wait to do your strategic thinking until your annual cycle calls for it? The business environment just isn’t that predictable. 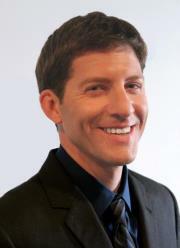 You must set your annual plan, and then judge your progress and adjust your strategy and plan as needed, said Lavinsky. I suggest you discuss and choose your strategy in one session, then do your full strategic planning in another. In setting strategy, you’ll be in creative mode, exploring all possible options. Choose the strategy that makes the most sense, and then figure out the precise action plan to achieve it in a separate, more analytical meeting. In summary, Lavinsky believes that with appropriate time set aside for strategic thinking and planning, and by avoiding the obstacles discussed herein, that entrepreneurs will experience the joy that comes from knowing exactly what they are striving for and how to get there. You’ll feel more grounded, balanced, and centered. You’ll come to work with greater purpose and passion. And you’ll have more to show for your efforts at the end of each year. Growthink provides consulting services and training products to help entrepreneurs start, grow, and successfully exit their businesses. To learn more about Growthink’s Strategic Plan Template, visit http://www.growthink.com/products/strategic-plan-template. To learn more about Growthink’s business plan services, visit http://www.growthink.com/businessplan. Growthink also offers a best-selling business plan template, available at http://www.growthink.com/products/business-plan-template. This entry was posted in Which Open Source Blog and tagged Dave, Growthink, Lavinsky, Mistakes, Planning, Reveals, Strategic on January 19, 2013 by Administrator. Battle Creek Unlimited (BCU) and the Non-Profit Alliance today announce the years final courses for the “Totally Technology” Series. These free and low-cost technology-training courses aim to help businesses and non-profit organizations in the area the basic steps in running IT operations. The free course, entitled Business and Internet Security, is scheduled for Tuesday, December 7, 2010 from 11:00 a.m. to 12:00 p.m. (Noon) at Miller College located in (Room: Seminar D). This course is designed to help professionals learn about compliance and regulations for business and non-profit organizations. Attendees will learn about disaster recovery, browser security, WIFI security, website safety and IT security policies. In addition, attendees will learn tips on how to protect computers from viruses and spyware. The instructor will be Rafael Corral, lead developer at Core’PHP’, a local Battle Creek web development company specializing in Joomla, open source content management and website development. The Nonprofit Alliance is offering two other low-cost courses through December. They are Google Apps for Your Nonprofit on December 3 and Free and Low Cost Technology Tools for Your Nonprofit on December 21. Both of these courses are $ 25 for members and $ 45 for non-members of the Nonprofit Alliance. The series sponsors, BCU and the Nonprofit Alliance encourage attendance by business owners, organizations, and/or anyone who is interested technology tools and security management. To register, please visit http://techmanagement.eventbrite.com. Battle Creek Unlimited is the economic development organization that works with the City of Battle Creek to transform and diversify the Battle Creek economy. The organization encourages business formation and investment in technology, coupled with a continuing supply of real estate and infrastructure to support technology workplaces. For more information, visit http://www.bcunlimited.org/transformation. Miller College is a student-focused and learning-centered institution in Battle Creek, Michigan. The College is a senior-level institution offering degree programs at the junior and senior level in formats and at times convenient for students to attend. Our mission is to graduate students who exhibit a high level of competence in their area of study and demonstrate service to the community. We are committed to providing students with an outstanding education that is current, relevant, and meaningful in today’s dynamic and rapidly changing global marketplace. For more information, please visit http://www.millercollege.edu. This entry was posted in Which Open Source Blog and tagged Battle, Businesses, Community, Course, Creek, Management, Offers, Planning, Security, Series, Technology, Totally on December 19, 2012 by Administrator.